the Nephite hill Cumorah. Photo by Merrill C. Oaks. Mormon wrote; "I hid up all the records in the hill Cumorah, save these few records I gave to my son Moroni". Moroni wrote, "I will wander withersoever I wander and hide up the records unto the Lord" (See Mormon Chapter 6 and Moroni chapter 1). Inasmuch as the hill Cumorah and the hill Ramah are one and the same, and inasmuch as The Book of Mormon requires the hill Cumorah to be located by the narrow neck of land in Jaredite territory, then we conclude that the hill Ramah/Cumorah is located in the state of Veracruz, Mexico. Since we now know that the Olmec nation dating from 1800 to 250 BC with headquarters along the Gulf of Mexico is the same people spoken of in Ether in the Book of Mormon, we can increase our understanding of the ancient Jaredites and the final years of the Nephites by visiting the states of Tabasco, Veracruz and Oaxaca. 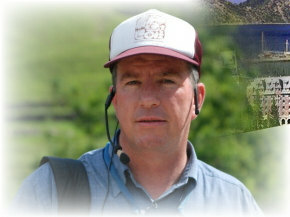 Join us on this exciting, all-inclusive, eight day journey as we visit areas associated with both the Jaredite and Nephite civilizations where we will analyze name correlations such as Mormon, Moroni, King Kish, the waters of Ripliancum, the land of Cumorah, the hill Shim and the ancient Jaredite capital of Moron. We visit three LDS Temples on this delightful eight day Book of Mormon experience. They are the Villahemosa Temple, the Oaxaca Temple and the Veracruz Temple shown here. Photo by Courtney Boice. The price of the tour is $1,695 per person based on double occupancy. Airfare is extra and is currently around $600-$700 per person for round-trip flights from the USA to Mexico and back with internal flights to Villahermosa and Oaxaca. Everyone needs a passport. Please contact us by email at [email protected] if you need information on obtaining a passport, for help on booking your airline tickets or if you have any other questions. A $500 deposit per person is required to reserve your space. The balance is due sixty days prior to departure. Airfare is due upon booking. If you cancel the tour, a $200 cancellation fee per person and applicable costs will be assessed. The Tour includes seven nights deluxe hotel accommodations, daily buffet breakfast, seven additional lunches or dinners at fine restaurants, first class bus transportation, entrance fees and guide service to places listed on the itinerary, taxes and tips on group items, FREE CD of the new second edition of Exploring the Lands of the Book of Mormon and a large wall map outlining proposed Book of Mormon sites. The tour is escorted by Maya scholars and professional tour directors Blake Joseph Allen or Todd B. Allen. On this tour you will see the Book of Mormon history come to life as we travel throughout the area proposed as the land northward where Cumorah was located. You will visit the LDS temples in Villahermosa, Veracruz, and Oaxaca, nine archaeological sites and museums, eight locations associated with the Book of Mormon and other places of interest. The Maya ruins of Palenque located in the state of Chiapas, Mexico date from AD 300 to AD 900 and represent one of the longest dynasty in Mesoamerica. Photo by Sheryl Lee Wilson. Day 2: Sunday, Villahermosa. After attending church with the local saints, we will visit the LDS temple in Villahermosa. In the afternoon we will walk through the beautiful outdoor museum of La Venta where we see many of the stone carvings taken from the ancient Olmec city of the same name. The Olmecs coincide with the Jaredites in the Book of Mormon with many strong evidences linking the two. Breakfast and dinner are included. Day 3: Monday, Villahermosa. Although only four percent of the population of the country of Mexico live in the State of Chiapas, over 40% of the wild animals live in the Tehuantepec, Chiapas and Lacondone mountains. This is reminiscent of the statement in Ether wherein it states that the “land southward was preserved for a wilderness to get game” (Ether 10:21). We will visit the majestic Classic time period Maya ruins of Palenque where we will analyze the panel of glyphs at the Temple of the Cross which shows the lineage of a 7th century AD king named Chan Balaam, which dates back to a Jaredite king named Kish, who was born on March 8, 993 BC. After lunch we will return to our beautiful hotel in Villahermosa with time to relax and enjoy our surroundings. A full buffet breakfast and a delicious dinner are provided..
Hotel La Finca on the shores of Lake Catemaco, Veracruz. Photo by Courtney Booice. Day 5: Wednesday, Oaxaca. Today is a highlight of the tour as we will check out of our hotel and visit the hill where leading Latter-day Saint scholars are in agreement as to the location of the hill Ramah/Cumorah mentioned in the Book of Mormon (Mormon 6:2,6; Ether 15:11). We will travel through the area of the waters of Ripliancum (Ether 15:8), a place that has the same meaning in the Aztec (Nahuatl) language, “exceeding large waters.” We will drive into the city of Veracruz where we will transfer to the airport for our flights to the city of Oaxaca. In Veracruz, we will have the opportunity to see the Veracruz Temple. Breakfast and lunch are provided. Day 6: Thursday, Oaxaca. The Oaxaca valley has archaeological evidence that dates to the Jaredite time period and as a result is considered to be the ancient area of the Jaredite lands called Moron. 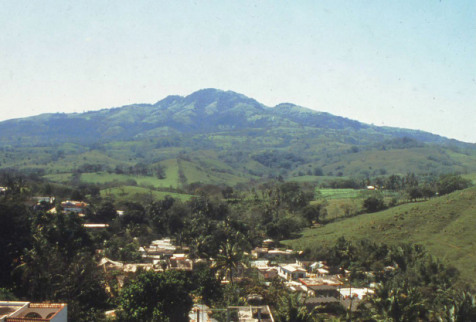 LDS scholars believe that the Jaredites landed on the Pacific side and moved inland and that a branch of their society settled in the Oaxaca area. Three kingships later they moved to the Gulf Coast area. Olmec/Jaredite settlements began to show up along the Gulf Coast between 2000 and 1500 BC. As we arrive in Oaxaca, we will visit the site of San Jose Magote dating to the Jaredite time period and having Mesopotamian style stonework which may indicate their coming from the Tower of Babel area and time period. We will also have time to visit the Santo Domingo Church and Museum. Breakfast and dinner are included. Day 7: Friday, Oaxaca. This morning we will climb by bus to the top of the mountain where the ancient Zapotec ruins of Monte Alban are located. The early Zapotecs may also have been part of the Mulekite culture. Here we will summarize the three civilizations identified in the Book of Mormon: the Jaredites, Mulekites and Nephites. It was at Monte Alban, excavated by Alfonso Casso, where the evidence of a written language was first discovered in Mesoamerica. The site dates from 500 BC to AD 700 and may have been controlled by the Nephites beginning at the reign of King Mosiah at about 100 BC. In the afternoon we will visit the Zapotec ruins of Mitla. Although built about AD 700, it shows outstanding accomplishment in the workings of cement and intricate design. Zapotec civilization began in the Oaxaca valley about 500 BC and would probably be considered as part of the Mulekite culture. We will also visit a black pottery shop. A visit to the Oaxaca Temple will culminate our day. Breakfast and a farewell dinner are included. Day 8: Saturday, Oaxaca. Transferring to the airport, we will check in for our flights home. Our journey to the Land of Cumorah has come to an end, but we will take with us memories that will last a lifetime. Meals are on your own. Prices and itineraries are subject to change. Provided meals are noted at the end of each day. Let the Book of Mormon change your life.....again!